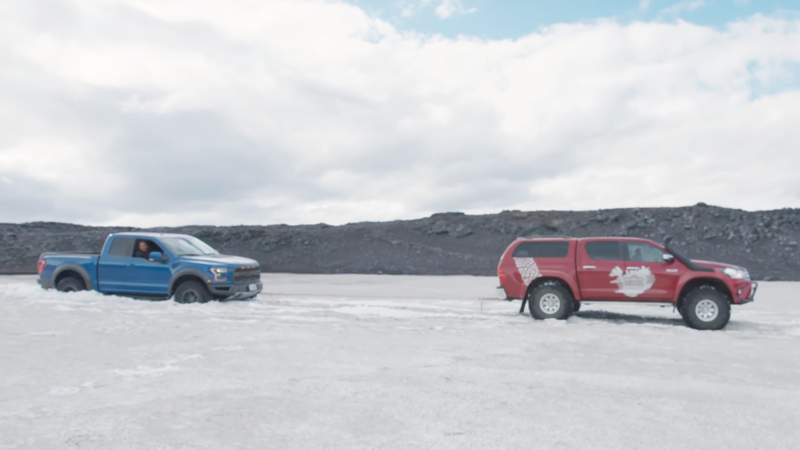 I’d wager that these two men, by the names of Chris Harris and Mike Spinelli, are among the only people ever to get a Ford Raptor stuck on a teeny little glacier such as this one in Iceland. They’re there for /DRIVE’s final episode of its fourth season: an hour-long Icelandic special. The two are tasked with driving the Raptor across the island country’s famous off-roading terrain, while Matt Farah cruises along the ring roads in a McLaren 570GT. You can catch the episode on NBC Sports on Thursday, Nov. 9 at 9 p.m. However! Why should Thursday be your only day for car television? You can catch your friendly, neighborhood Jalopnik writers Mike Ballaban and Raphael Orlove on Car vs. America on Wednesday, Nov. 8 at 8 p.m. ET and PT on Fusion.